Last week I attended a LinkedIn advertising masterclass to keep on top of my PPC game. I discovered a game-changing new tool that will drastically improve audience targeting. LinkedIn’s Website Demographics give you a deep look at who is already visiting your site. You can run a report to see what companies have browsed your site, what industry visitors are in, their company size, location and more! Pretty amazing, right? Let’s dig in! 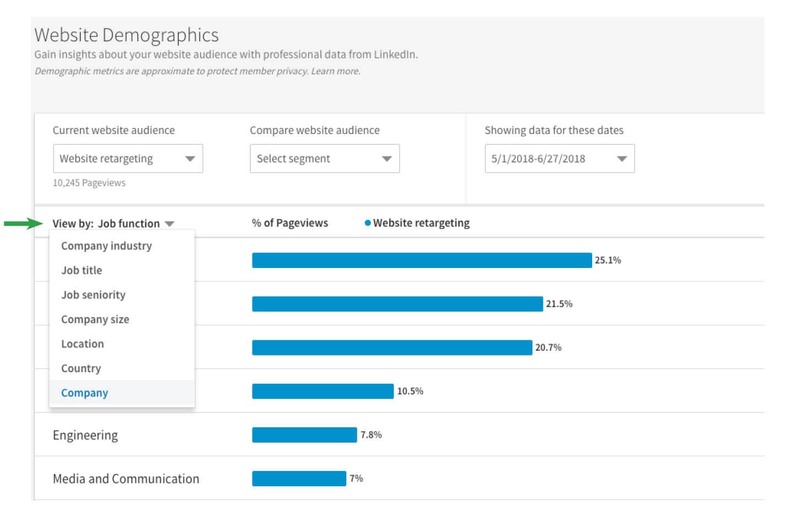 All of this website demographic data comes from LinkedIn’s Insight Tag, which needs to be installed in order to collect the data used to create reports. You will need to have access to the backend of your website or to Google Tag Manager. 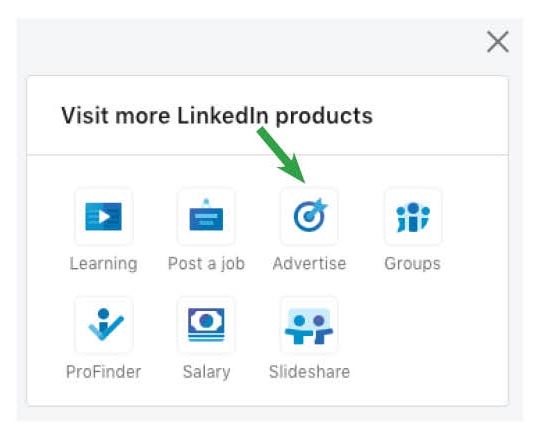 If you don’t have an advertising account with LinkedIn, you’ll need to create one. We’re not creating ads, so this process is completely free. Once you’re logged in, click on Work on the top right of the menu and click on Advertise in the small window that opens. A new tab will open that shows LinkedIn’s knowledge center for business. I suggest bookmarking this page for future reference. Hover your mouse over the word Advertise and a new menu will open. Click on Sign in to Campaign Manager. If you have an account already, click on it. If not, follow these instructions from LinkedIn to set up an account. You will need admin access to the page to set up an advertising account. Once everything is set up, we need to install the tracking tab. 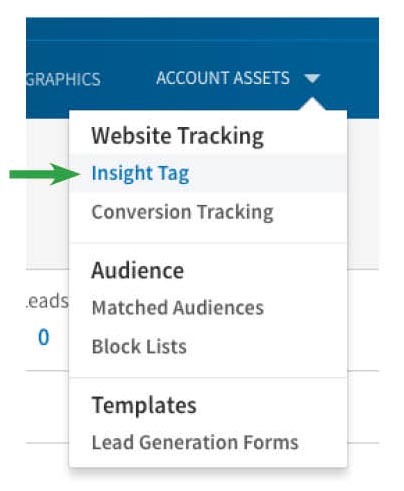 Click on Account Assets then Insight Tag. If you’re using GTM: make note of the ID number and add the LinkedIn Tag. Enter your ID number, and set the trigger to “All Pages.” Publish your changes and you’re done! If you’re not using Google Tag Manager, I suggest looking into it. It makes it so much easier to install tags like this. For other sites, you need to add it on each page just before the close of the body tag (</body>). Now for the hard part – Wait for data to be collected! Once you have some data to review, sign in to the campaign manager and click on Website Demographics. The stats you see in there are from the visitors on your site that also have LinkedIn accounts. You can sort by company, industry, job title, job junction, seniority, company size and location. Click on View by: on the top left of the column headers and choose your desired report. Now that you have access to this wonderful data, how will you use it? Having access to the list of companies visiting your website is something sales people pray for every night. You know that these brands are at least a little interested in your product or service, making it easier to convert them. Additionally, if your company has switched to an account-based marketing (ABM) model, you have a great list to start learning about the decision makers and their pain points. The industries that are in your report may reveal new use cases or show which areas you should allocate more of your ad spend. And the same can be said for the company size report. There are so many ways to use the data and create smarter target audiences. Plus, you can see if companies are responding to your LinkedIn advertising efforts before they convert. LinkedIn has some great new features planned for this year that will help you reach B2B customers like never before. 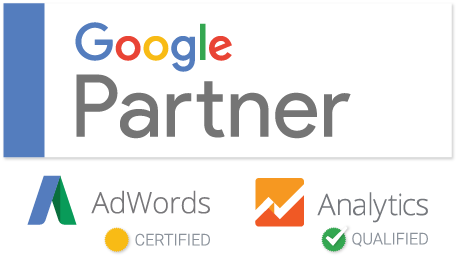 I highly recommend exploring if this platform makes sense for your business and take full advantage of the audience targeting available.